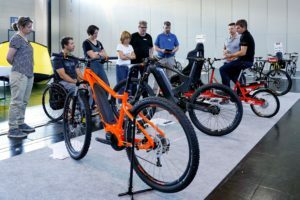 RATZENRIED, Germany – While the latest market reports on bicycle sales figures in Europe are showing the effects of the rainy summer weather, the 5th Eurobike Demo Day enjoyed clear skies and warm temperatures today. Once again the small town of Argenbuehl was the center of the bicycle industry for one day. 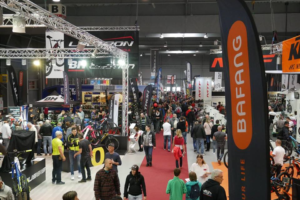 Some 113 exhibitors, a little more than last year, built up their tents to offer trade visitors and the international bicycle press the opportunity for a test ride. Drawn by the nice weather the visitors came in large numbers and with high spirits, although the show organisation has not yet published the official visitor figures. 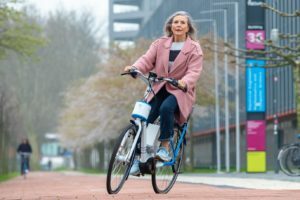 This year the test tracks were not only crowded with usual MTB’s, road race bikes, city bikes and folding bikes but more and more with models from THE growth segment in our industry today: e-bikes. The hilly area around the village of Ratzenried is not only ideal to test new group sets, the latest frame designs and trendy accesories but also the latest innovations in e-bikes technology regardless if it is on an e-MTB of e-commuter. Many journalists and trade visitors took the opportunity for an e-bike ride experience themselves. 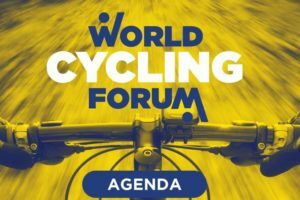 Over the past five years, the Eurobike Outdoor Demo has become an indispensable part of the biggest bicycle show on earth. As an example ChainReactionCycles, known from its webshop sales, was one of the exhibitors at the Demo Day only to present its private label brand Vitus. Tomorrow morning the 20th edition of the Eurobike will open its doors. “What began in 1991 with 286 exhibitors has now become a leading globally recognized trade show”, said Messe Friedrichshafen CEO Klaus Wellmann this morning at the opening press conference. 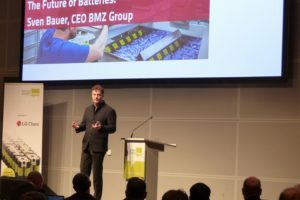 “The international industry meeting place will present a wide spectrum of products from the entire sector.” In the past two decades Messe Friedrichshafen has carefully preserved its show concept to make it the succesfull event it is today. Read more on the future of Eurobike in the interview with Klaus Wellmann in the September issue of Bike Europe.